On Tuesday the 9th of April, the Fusion Foundation sponsored a Blockchain Dinner in New York City that included representatives from some of the biggest names in the Blockchain community. 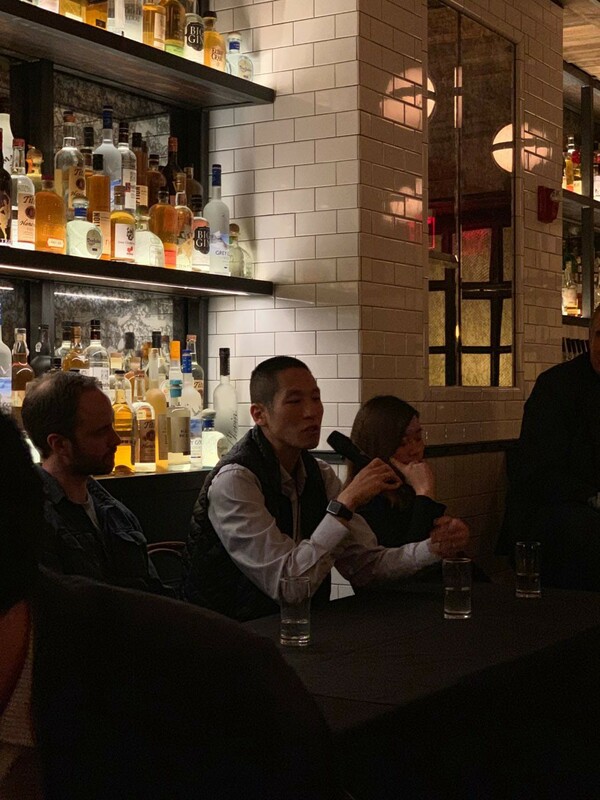 As part of the evening’s events, Fusion Product Strategist John Liu, featured on a panel with three other participants from IBM Ventures, Galaxy and Soriano Global. Other attendees at the event were JPM, eToro, ConsenSys and many other reputable and interesting companies. The focus of the panel discussion was on how to effectively communicate to all market participants during a prolonged bear market. 1. What is your communication strategy? I bring the same strategy to communicating blockchain products as I have used in traditional finance engagements. The focus is on the execution of the two important pillars of our company, technology and adoption. Technology execution centers around new features and meaningful tech releases or new hires that make our technology team stronger. Adoption is about partnerships and the resulting pilots that emerge from these collaborations. Announcements are always pegged to meaningful, significant milestones, and not ‘fluff’ (for example, signing an agreement to explore something sometime down the road). 2. How do you overcome “Blockchain burn” (scepticism of Blockchain technology) in your engagement with clients? I use two separate approaches/tactics to partnership engagements in consideration for whether the potential partner is from inside or outside of the US. In the US, we have definitely witnessed stronger reservations about Blockchain technology compared with other countries around the world. This is not a big issue because we always focus on direct solutions to the partners problems, data inaccuracies, middle men, redundant workflows etc. We barely need to mention Blockchain. For example, no product I ever looked after was purchased by a customer because I talked about what database or tech stack we used. Those are secondary concerns — and Blockchain is the same. It’s a tool to solve a problem. Outside of the US, in certain regions that are more Blockchain-forward, such as the UAE where government have mandated Blockchain adoption by end of 2020, there is no “Blockchain burn”. In fact, it’s the reverse: Blockchain fervour! People are desperate to move their solutions onto Blockchains without understanding the needs/benefits. So, my engagement approach, while still focused on solving their problems, brings Blockchain considerations into the discussion much earlier in the dialogue. 3. How do you deal with all the government regulations that surround digital securities? Both in and outside of US, it is always important to work with government and regulators. We do not and should not fear government and regulators, we want them on our side! Government agencies and Central banks, for example, naturally feel threatened by Blockchain technology due to association with decentralized finance. Thus, you want to engage them by creating pilots that they feel comfortable with, such as through stable coins and simple cross-border settlements. For regulators, because we are a global organization, we believe in following best practices of the most conservative regions, which in this case is the US. I encourage projects which cross into token issuance to proactively engage with the regulators, because they are looking for guidance from the innovators, as much as we are looking for guidance from them. The dinner was a fantastic opportunity for Fusion to connect with some of the most influential companies in the Blockchain community. We look forward to continually updating the community on our partnership and PR engagements!